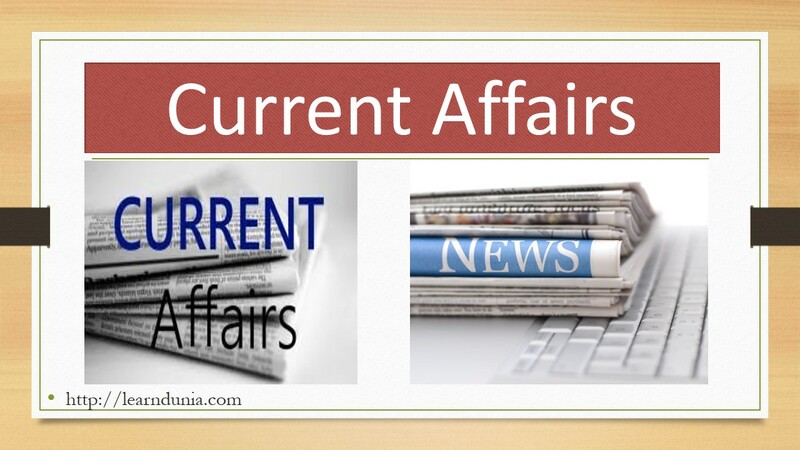 General Awareness, Current Affairs are important for every competitive exams- Bank Po, Bank Clerk, UPSC, LIC, RBI, NIACL, Insurance exams, all state level exams, there are quantity of General Awareness, current affairs questions in the exams, in banking General Awareness, Current Affairs play an important role, and candidates have good knowledge of GA then it would be easy for that. The Election Commission of India celebrated the 8th National Voters’ Day across the country on 25th January for enhanced participation of citizens in the electoral process.The National level function was held in New Delhi. 1st Chief Election Commissioner of India: Sukumar Sen, Current ECI: Achal Kumar Joti, Next ECI: Om Prakash Rawat. The Union Government announced 88,139 crore rupees capital infusion in 20 public sector banks, PSBs, during the current fiscal ending 31st March to boost lending and revive growth. DBI Bank will get the most- Rs10,610 crore followed by State Bank of India 8,800 crore rupees. The 20 banks that will receive the capital infusion during this phase include Bank of India, UCO Bank, and Punjab National Bank. Till now 11 PSB’s have been included under Prompt Corrective Action(PCA). Prime Minister Narendra Modi honored 7 girls and 11 boys with the National Bravery Awards. Praising the resolve of the awardees. The children felicitated by him in the past hailed from “rural and simple background”. Tamil Nadu Chief Minister Edappadi K Palaniswami received UNESCO Award of Merit awarded to the iconic Srirangam Ranganathaswamy temple in Tiruchirapalli. The award of merit was awarded by UNESCO Asia Pacific region for the reconstruction activities undertaken in the temple without in the least affecting its traditional splendor and Vedic rituals. India has moved up on a global index of talent competitiveness to the 81st position in the report that was released in the first day of the 48th World Economic Forum annual meeting in Davos, Switzerland, Switzerland is in the top of the list. India has improved its position form 92nd in 2017. Among the BRICS countries China has topped with 54th position. Vodafone India has partnered with e-commerce marketplace Flipkart to provide a range of entry level smartphone at an effective price of Rs 999. India ranks 177 among 180 countries in the Environment Performance Index 2018, according to a biennial report by Yale and Columbia University along with the World Economic Forum, India ranked 141 in 2016 report, the report was released on the sidelines of the World Economic Forum in Davos, Switzerland. Switzerland Capital: Bern, Currency: Swiss Franc. Ursula K. Le Guin, the award-winning science fiction and fantasy writer who explored feminist themes and was best known for her Earthsea books passed away at the age of 88. Le Guin won an honorary National Book Award in 2014. Le Guin’s first novel was Rocannon’s World in 1966. Her book, ‘The Left Hand of Darkness’ won the Hugo and Nebula awards top science fiction prizes.